onto the road. Engine 88 arrived and staged at the exit for the Airport Connector, directing traffic off of PA-283 west. 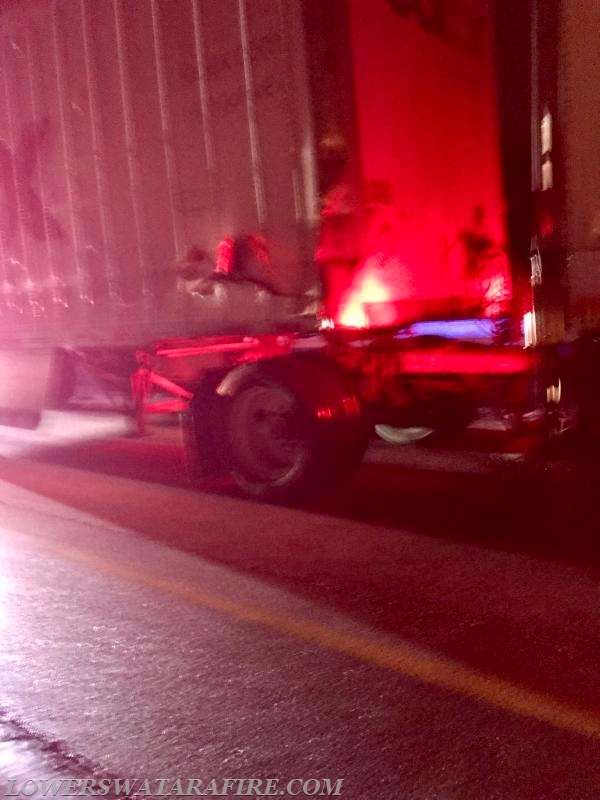 The truck involved in the incident was hauling paint, paint thinner, and canola oil. 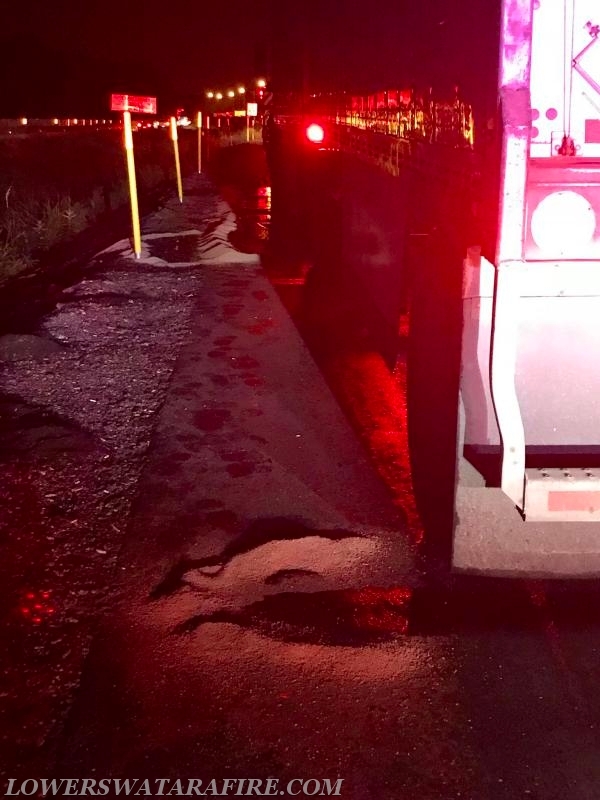 Crews identified the leaking liquid as being only the canola oil and began forming a dike to contain what was still leaking. 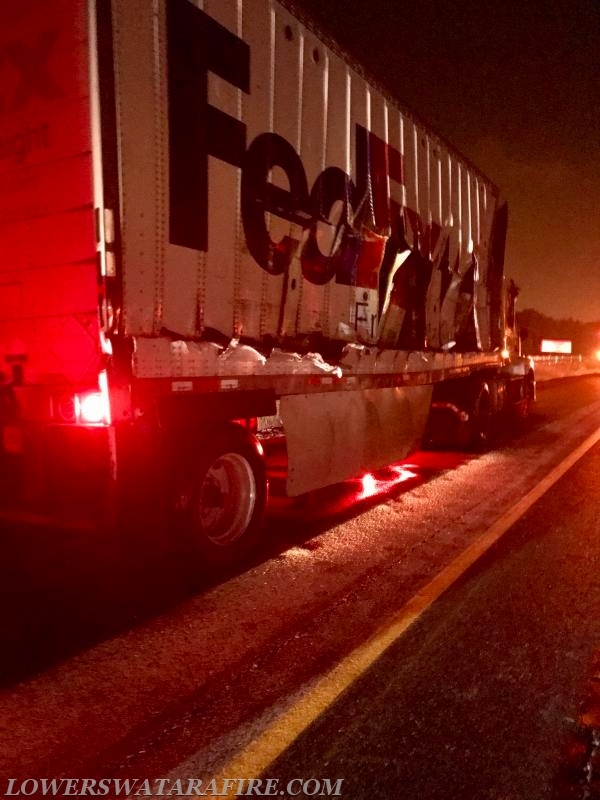 The majority of the oil was spilled onto 283 for over a 1/2 mile from where a piece of construction equipment moving concrete barriers and the tractor trailer made contact. Because of the amount and length of the spill, Fire Police were requested from Companies 54 and 91 to close the westbound local lane beginning at N. Union Street. Multiple agencies were notified and responded to the scene to coordinate the clean-up effort. The westbound local lane of 283 remained closed for several hours while crews cleaned the roadway.